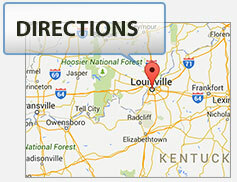 Two Louisville, Kentucky residents were killed while trying to cross the street, after being struck by cars. 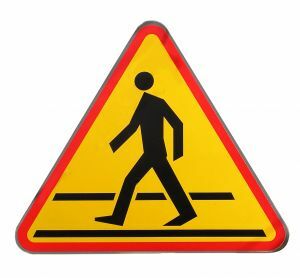 Initial reports are that both incidents, which occurred separately and at different times of the day, involve the pedestrian not having the right-a-way to cross the roads. Initial reviews of these accidents would appear that fault for the accident is on the pedestrians. However, Kentucky is a comparative fault state and thus, the families of those killed in pedestrian accident should have the circumstances of such accidents fully examined by a lawyer. Under Kentucky’s comparative, even if as person bears the majority of fault for an accident or death, the other party can still recover the percentage that they were not at fault for in the accident. In theory, under Kentucky comparative fault, even if a person were 99% at fault for an accident or death, they could still recovery 1% of the damages they have suffered from the accident. In cases where a person is killed, these are referred to as wrongful death claims, and the monetary damages can be substantial. In cases where the damages are large, percentage of fault is usually a factor and certainly not a deterrent to seeking some form of justice and compensation for the loss of life. In the above two instances, on occurred in the even and one occurred in the middle of the day. When looking at accidents to determine what happened and legally if someone is civilly liable for the events, you should examine all factors, time of day, rate of speed, where traveling to and from, and was the driver distracted by use of a cell phone or other device. For more information on Kentucky’s comparative fault laws or the rights of persons injured or killed in pedestrian or auto accidents, contact Kentucky injury attorney Brent T. Ackerson and the Ackerson Law Offices at (502) 822-5176 or contact on line by by clicking hereBrent Ackerson directly.